So very Blair Waldorf dont you think? 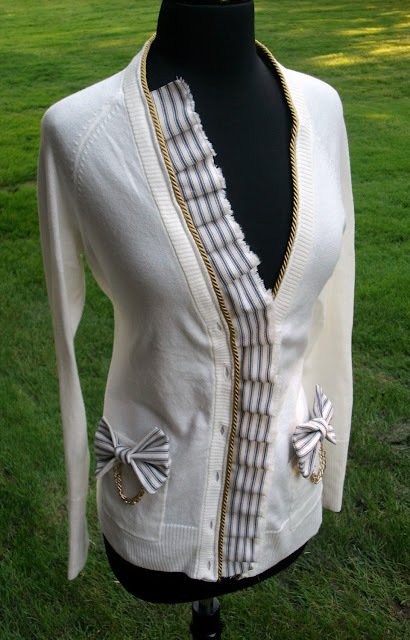 Pair this ivory knit cardigan with a pair of skinny jeans, flats, and a camisole and your ready for sailing in the Hamptons or perhaps tea and crumpets (or in my case a trip to the grocery store). Either way, this adorable cardigan has lots of nautical/victorian inspired elements. I added an antique gold trimming, pleated striped cotton ruffles with tattered edges. 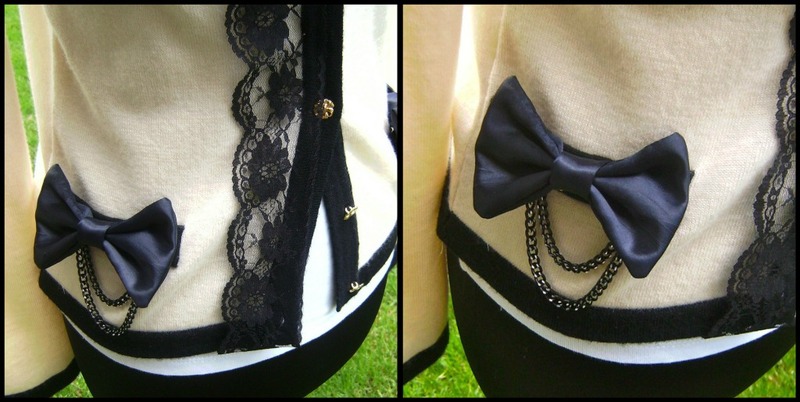 the pockets are trimmed with bows and chunky vintage coco gold chainlinks. 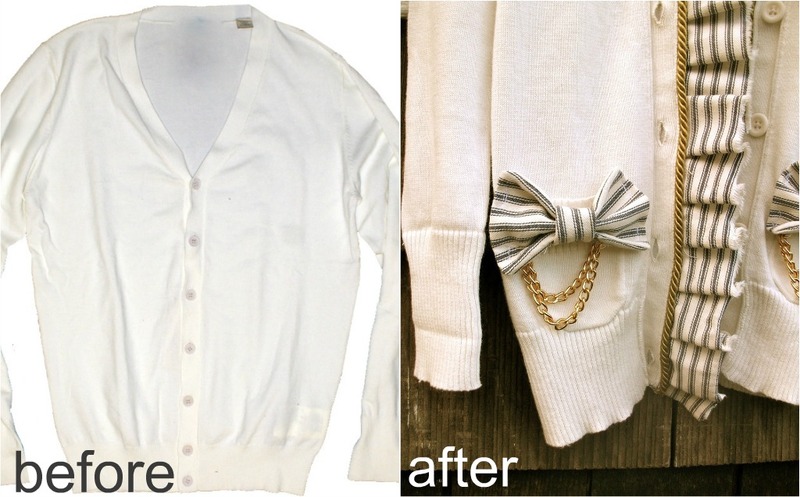 A platter of bows, ruffled scraps, trimmings, and chain links will do the trick. Use an old cardigan that has no life anymore. Add some ruffles from scrap fabric (laces, chiffon polk-a-dots). Very Coco Chanel meets Blair Waldorf.